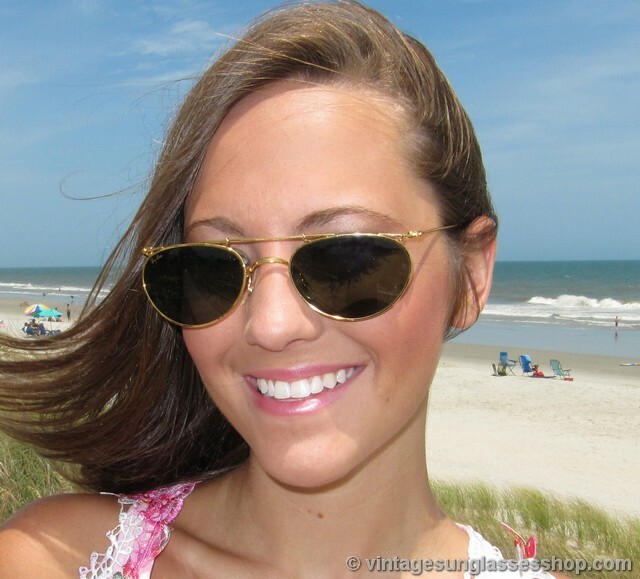 Appealing to advanced collectors as well as those with just a great sense of style, B&L Ray-Ban W1532 Deco Metals sunglasses with 24k gold plated Arista frame are an iconic classic. 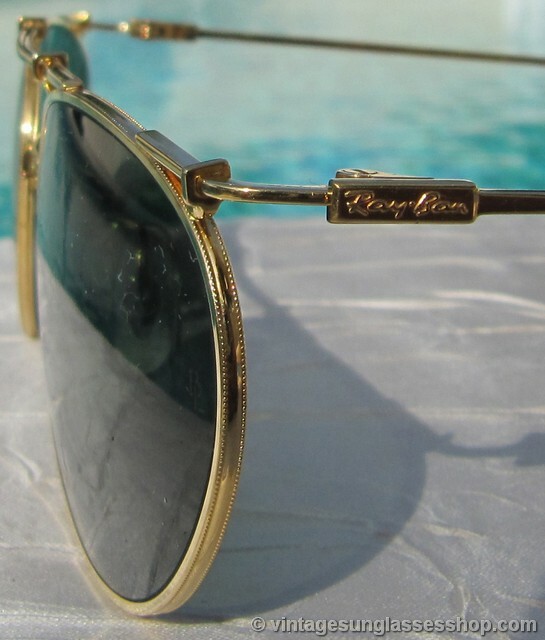 In the early 90s, Ray-Ban introduced a new collection called Deco Metals with the W1532 Arista being the flagship. 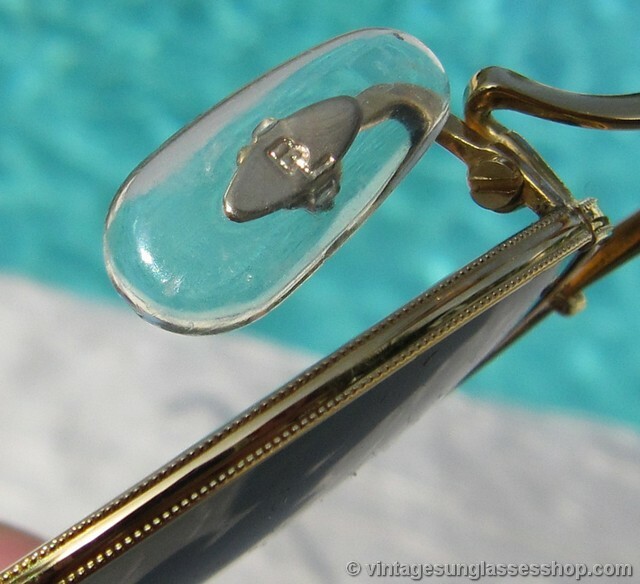 The goal was to evoke the styles of vintage 1930s and 1940s sunglasses when exquisite workmanship and detail was still practiced. You'll find precise pinpoint etching around the entire front and rear of the frame characteristic of Arista frames, and.between those to edge there's a grooved run of gold. 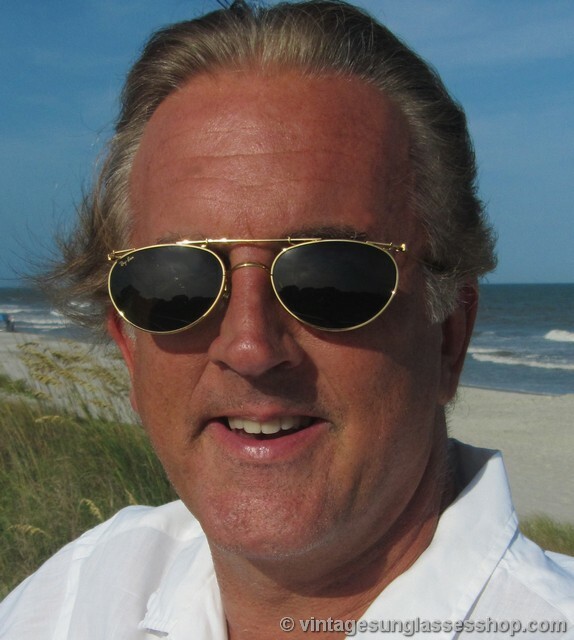 You will recognize the extended temple design that was later adopted in various ways by other vintage Ray-Bans such as Orbs and Predators. 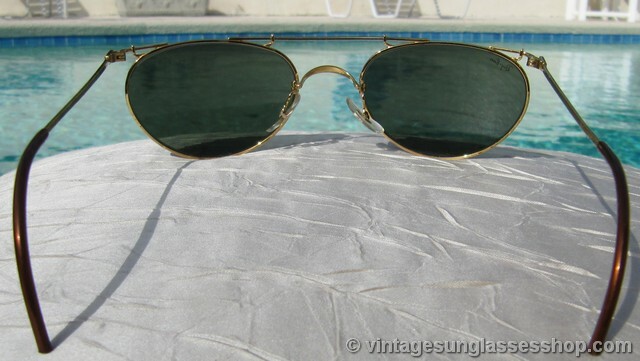 This is the B&L Ray-Ban W1532 model, but the thin profile and design of Deco Metals meant that like some earlier models the model number was not on the sunglasses themselves. 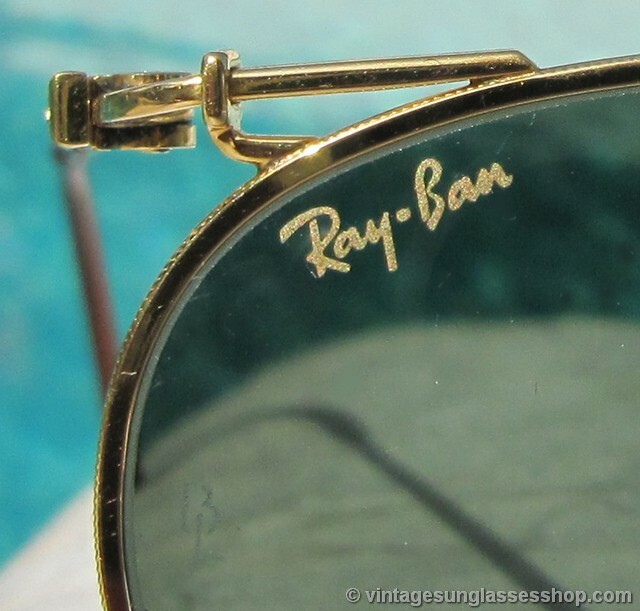 The right lens is laser etched Ray-Ban, and both lenses are laser etched BL near the hinges. Both celluloid nose pads are original and also marked BL, out of a home in the city where they were produced - Rochester, NY.